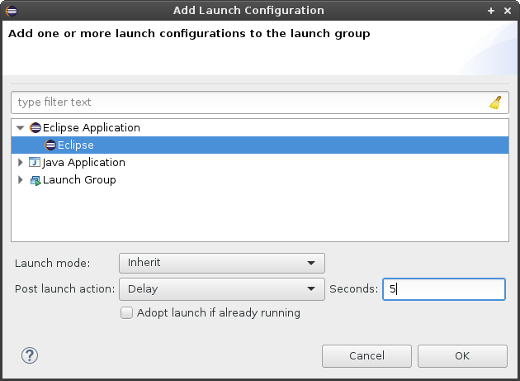 The Adopt launch if already running option allows to control behaviour of the group when the launch configuration referenced by the launch group element is already running (no matter who launched it). If checked, the launch configuration will not be launched again if it is running already. The existing launch will be adopted by the group (i.e. terminating the group will also terminate this launch). Any configured post launch action will still be executed!